Will You Be Betting On Red Or Black? 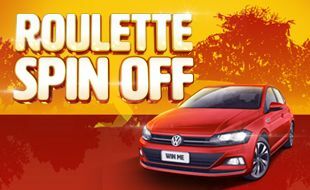 Between 30 August and 27 October, we will be hosting our Roulette Spin-Off Tournament here at Emnotweni. We’ll be giving away over R250 000 in prizes, including a VW Polo Trendline, so make sure you get in on this exciting tournament for your chance to win big. The qualifying rounds will take place daily from 30 August to 20 October 2018 between 15h00 and 23h00. A maximum of 5 players at a time will constitute a heat, with a minimum of 1 player. After buying in, you will receive 3 stacks of colour chips. Each chip will represent R10. You will be given 3 spins of a maximum of 60 seconds each to bet. If you indicate that you are finished prior to this elapsed time, your betting time will be considered finished and we will move on to the next player. You must play every spin. Missing a spin or hiding chips will result in your disqualification for that round. At the end of the 3 spins the chips will be totalled and entries will be made onto the leader board if you’ve made it. The leader board will reflect the top 21 players. At the end of qualifying rounds, position 1 on the leader board automatically qualifies for a seat in the final. Players in positions 2 to 21 (20 semi-finalists) after the qualifying rounds will enter into a play-off in the semi-final to qualify for the remaining 6 available seats in the final. R10 table limits apply to all heats. R200 maximum on the number, R100 minimum on outside chances in multiples of R100, R5,000 maximum on even money chances and R2,500 on columns and dozens and no call bets will be accepted. Semi-finals will start promptly at 18h00. Should a semi-finalist arrive late, they will be disqualified from the tournament. The top 6 high scorers from the semi-final, together with the holder of position 1 on the original leader board qualify for a place in the final. Finalists will be allocated their seating position at the table by way of a selection process. A rotating marker will be used to control the betting order. Tournament will be open to all Emnotweni Rewards members (the “Participants ”), and it is closed to any persons who are directors, members, partners, employees, agents or consultants of or any other person who directly or indirectly controls or is controlled by the company or marketing service providers, or spouses, life partners, business partners or immediate family members. Non-Rewards members can buy-in to enter the tournament, but they will need to register and become Rewards members should they win a prize. Entry to the tournament is by way of a prior cash buy-in, or point redemption to the value of R50, and it shall entitle the participant to the corresponding number of seats (R50 per seat) in any qualifying heats that occurs on the same day during which the Entry Purchase was made. Any complimentary entry, if such is afforded to a participant, will be paid for by the casino and it shall entitle that participant to a single entry. Designated and demarcated table will be utilised for the tournament and no live games will be offered on the tournament table. Any buy-ins qualifying rounds not played prior to the closing date of the qualifying rounds will be forfeited. Each chip will represent an unredeemable rand value of R10 for the purpose of determining winners and ranking players. These chips have no cash value and cannot be redeemed for value in any form, or used to place bets at live games. The Finals will be held at Emnotweni on 27 October as advertised and all participants will be required to register prior to the advertised starting time of the Finals. Late arrival and registration may result in being disqualified from the tournament.